There’s been no small amount of debate as to the identity of Tyranny’s villain and evil overlord, Kyros. 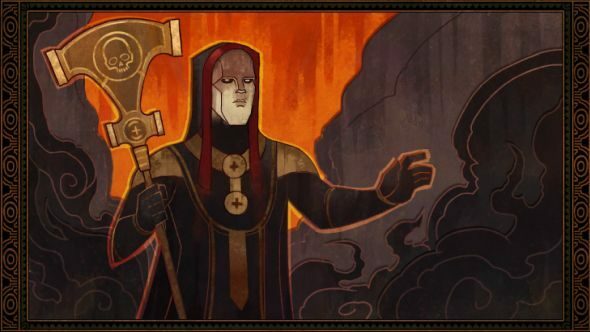 Obsidian’s latest RPG has a far different structure to their average fantasy fair, and the ultimate ruler of all creation – or soon to be it with your help – is mysterious. 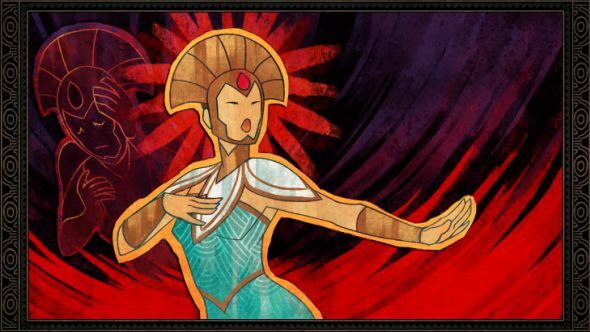 Everything from the pronouns used to describe her (though Obsidian prefer the feminine as a catch-all) to when her calendar starts is unknown within the world. The images in this article aren’t even of Kyros, the Overlord’s visage not being something made public yet. Why so mysterious? It’s all part of that world-conquering persona. Read more: Playing at being evil in Tyranny. The people are, essentially, kept in the dark. “Kyros does not commission portraiture and the citizens see iconography and Edicts – they are never really presented with a human face to worship. People know there are the Archons and then there’s Kyros, and Kyros isn’t the ‘top Archon’ but an entity more powerful than any ‘mere’ Archon. “There is no internet in Terratus so folks can’t Google Kyros, instead most people end up mirroring the superstitions around them – a lot of men think Kyros is a dude, a lot of women think Kyros is a lady, but just as many will think the opposite.” Many prospective players, myself included, were equally guilty of these assumptions. In a similar vein, many assume something stranger is going on. On that timeline, Kyros has instituted her own calendar. “Most folks know what year it ‘officially’ is (the game’s prologue opens in 428, the main gameplay is in 431),” say Obsidian, but that doesn’t mean Kyros has been upfront about it. “There’s plenty of confusion as to what the start of the calendar is – some think it’s when Kyros was born, some think it’s when Kyros first wore the title of Overlord. Those in the know could tell you that year zero was Kyros’ first Edict. And yes, Kyros starts the calendar on a zero – the Overlord is aware how largely incurious humans are and, anticipating stupidity over when a millennium begins or ends, planned for the future.” Kyros is pretty forward-thinking for an overlord of all life. As far as Kyros’ influence on the player character and you, Obsidian are keeping schtum beyond what we already know from the start of the game. The world’s greatest heroes, the Archons, all bow to her now and you’re a Fatebinder, off to enact one of these Edicts. They’re essentially omni-powerful spells, giving a command that must be followed or horrific consequences unfold. It will be up to you to decide how well Obsidian have managed to create an omnipresent threat without explaining any of the why, or how. 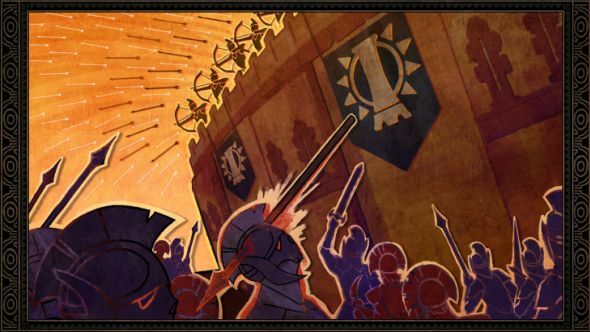 Tyranny comes out on November 10, available through the Paradox Plaza as well as Steam.